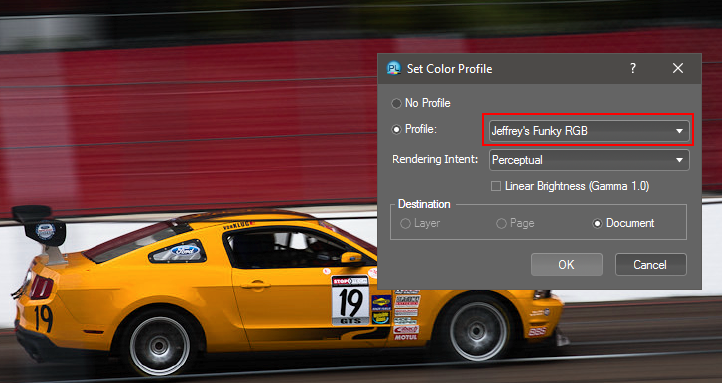 First, I do have to aplogize I have only vague knowledge of ICC profiles and how they exactly work, but I spotted a fairly strange behaviour with Affinity Photo. I often use some internet images, photos, logos, etc. (Being careful about the copyrights, of course!) I copy them right from the browser and then use "New from Clipboard" in AP to create a new document and edit the image. However, the new document (image) has different colours in comparison with what is seen in the browser. I realized that the new document has "Generic RGB profile" assigned. When I assign a different profile, like "sRGB IEC61966-2.1" or "Apple RGB", the colours get somehow closer to the original, but not exactly. On the other hand, when I first download the image to disk and then open in it AP, the colours are OK - the same as in the browser. What should I do to preserve the colours when copying the image right from the web? Is there any kind of configuration that would take care of that? Or is this a bug in AP? UX/UI designer, IT analyst & consultant, Business Architect at Cool Ticket (www.coolticket.co). MacBook Pro 13'' Early 2015, 3,1 GHz Intel Core i7, 16 GB 1867 MHz DDR3, Apple Thunderbolt Display 27'' (2560 x 1440). Different web browsers running on different OS's may display images using the image's embedded color profile (if they have one) or ignore that & use a default profile for everything. Likewise, there is no guarantee an embedded profile will survive the copy & paste step. So, while there is no way to guarantee every image seen on a web page will display the same colors for everyone, it is generally better to download the image to a file on your system & open that in AP (or whatever graphics app you are using). At least in firefox, in advanced settings, you can force it to use color management... And it does work as expected, properly. 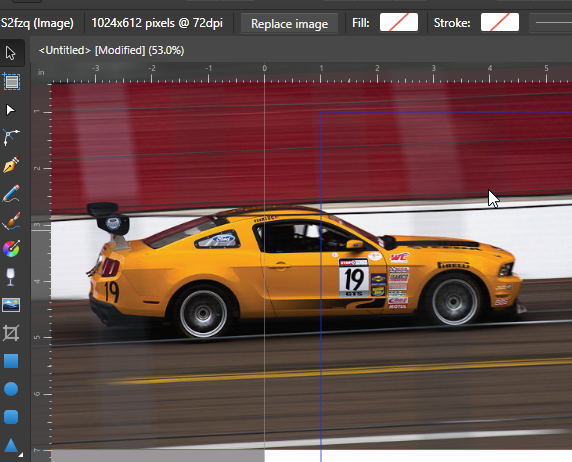 (IE, and Adobe RGB 1998 file will display correctly, etc) But I believe is not ON by default. Is a pair of settings or 3 that will have to be activated, if I remember well, Guides about it are easy to find in google. Oh, and instead copy & paste, save the image from the web (ie, if the file is a JPG, etc) , using right click, "save image as" (just remember no matter how you do it (copy & paste or save the file) there usually are copyright considerations ! Even if you don't find a copyright notice at all.) . And if want to publish one file made by you on the web, well, be sure is with the desired color profile embedded correctly and everything, and check with Firefox with those settings activated, or any other browser which you could configure so, just to check the thing. Thanks for all the valuable resources! 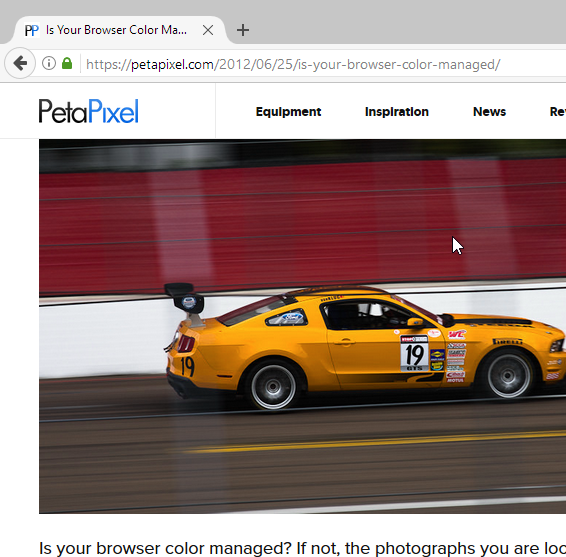 I don't know what to make of that petapixel page -- earlier today I opened it using Mike's link & the car was orange. 15 minutes ago I did the same thing with the same browser (Safari 10.0.3) on the same Mac with exactly the same settings & now it is purple. Just to make things that much more confusing, the Cameratico link provided by Lojza says my Safari browser is properly supporting ICC 2 & 4 profiles ... but using the Safari Develop menu User Agent item to try to convince the site I am using some other browser keeps mis-identifying it, for example as Chrome 42.0.2311.135 when the User Agent is set to MS Edge or as Chrome 51.0.2704.103 when it is set to Google Chrome Mac. For the petapixel page I have also tried emptying Safari's caches, turning off all extensions, & opening it with other browsers but the car remains purple. Looks the same in my browser and every color-managed application I have. You also can test for ICC v4 readiness here! According to that, Safari supports all four profiles on the page, yet the pentapixel page still shows a purple car, contrary to what it says about every browser tested in OSX correctly implementing ICC profiles. I would suggest that something about the browser is amiss, R C-R. That it worked the first time but not subsequent times is odd. If you download the image, does anything in your system display it properly? I have Vivaldi 1.7, Firefox 52.0.1, IE11 and Edge installed here. The ICC v4 readiness test page tells me that Firefox only supports ICC version 2 profiles, but the other three browsers also support ICC version 4. I see a purple car in all four of the above browsers. Go figure, as they say! 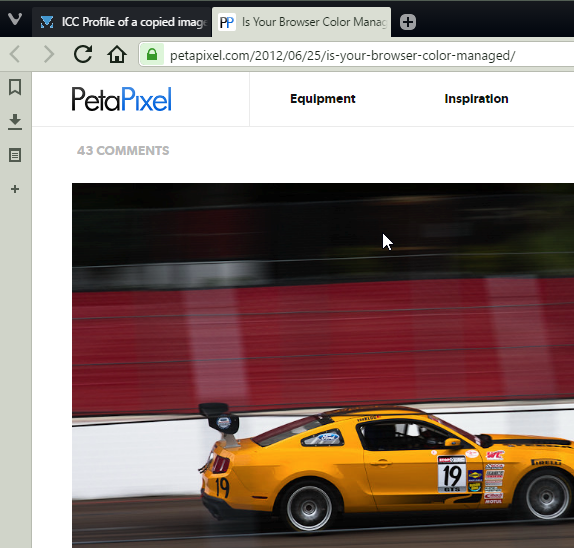 Well Firefox by default isn't setup for color management support, it only has enabled color management for tagged images. In the browsers URL-Bar type about:config and press enter. Now you are in the advanced settings. Be careful here, if you don’t know what you're doing, dont change anything here. Type color_management into the search field below the url field, in order to find the setings parameter. Set gfx.color_management.mode to 1 to enable colormanagement. The parameter changes to bold text which indicates that it is now user-defined. Set to true (doubleclick the entry) to enable colormanagement v4 (Recommended). 0 – Disable color management. -1 Honor the rendering intent specified in the image file. To finaly enable color management you have to restart firefox! Something is definitely odd (maybe with the page itself?) because I cannot select the image in the normal way to copy it, not with Safari, Chrome, Firefox or with any other browser I have. I have to right click on it & use the browser's 'inspect element' or 'view page source' or some such function to get to it to copy or save it. From what I can tell, the image source is https://petapixel.com/assets/uploads/2012/06/S2fzq.jpg & even if I load that URL directly into any of the browsers I still get a purple car. I don't have Google Chrome installed. Neither Edge nor IE are color managed. Mine is...gotta check. I think it is sRGB on the laptop, but it is a calibrated one on the CRT desktop. Both display properly. There is nothing special about the display profile embedded in the image, other than the white point alteration and subsequent color adjustments to color correct it back to yellow. It us a version 2 profile. The whole point of this and other images of its ilk is to see color management in action. I have another image as well somewhere here. I'll upload it in a bit. I got the WhackedRGB image from Gary Ballard's web site. Rather than upload it here, go to the link and review his information. The WhackedRGB image is about halfway down the page and for the browser you can move the mouse over the image and back off. I was just about to recommend that link as a much better test :P, "whacked rgb" displays good to me in a color managed aware app and purple as it should in non aware. That still doesn't explain why the car is purple also in properly color managed apps. While the "platform" tag in the car image should mean nothing, if you are using a Mac perhaps Apple's CMS does take it into account even though it shouldn't. It is set to Microsoft (Windows). On Windows none of the Apple platform tags mean anything and the spec also has it as a read only tag. I would have to look inside the Whacked RGB profile to see what it is set to. There is nothing different in the two ICC profiles that should account for a difference in viewing, assuming same viewing conditions on the same device and applications.